The learning management system market was estimated to reach a staggering $7.8 million this year.¹ Small Business Trends said that 98 percent of companies worldwide plan to use eLearning, which is commonly delivered via LMS, by 2020.² Data proves that the corporate world loves learning management systems. This makes sense when you consider how profoundly an LMS can benefit an organization. Increasing communication in the workplace. Lowering a company’s bottom line by reducing the costs of training. Helping organizations “go green” by eliminating the need for paper products in training as well as reducing training-related travel. Keeping companies current with compliance regulations. All these benefits considered, it’s obvious why a huge percentage of organizations across a variety of industries rely on learning management systems to ensure smooth day-to-day operations. Related Reading: Why Your Company Needs an LMS. Reading about the benefits of an LMS is effortless. What’s a little more difficult is locating the best learning management system for your organization. Knowing what to look for while performing an LMS features comparison will make it easier to spot the right one. Customization -- An effective LMS is one that can be customized for individuals as well as organizations. Quality LMSs are easy to use, learn to use, and modify. Before investing in an eLearning system, be sure to request an LMS demo. This will give you a clear idea of how user-friendly and customizable a learning management system really is. As your team searches for a corporate LMS, keep the need for mobile learning at the forefront of your mind. 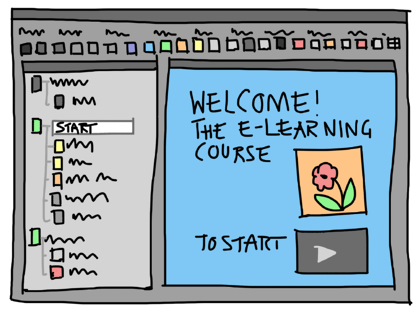 eLearning Industry. The top LMS statistics and facts for 2015 you need to know. https://elearningindustry.com/top-lms-statistics-and-facts-for-2015. May 26, 2015. Small Business Trends. 98 percent of all companies plan to use E-learning by 2020 with opportunities for small biz. https://smallbiztrends.com/2017/12/2018-e-learning-trends.html. December 17, 2017. National Mortgage Professional. Eight characteristics to look for in an effective learning management system. https://nationalmortgageprofessional.com/news/27013/eight-characteristics-look-effective-learning-management-system. June 2, 2014. LinkedIn. Top 8 qualities of a learning management system. https://www.linkedin.com/pulse/top-8-qualities-great-learning-management-system-technologies/. November 17, 2017.